Victoria started with us in September 2017. 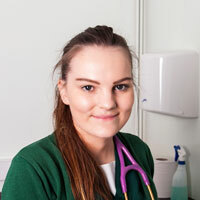 She qualified as a Veterinary Nurse in April 2017. Victoria owns a Cocker Spaniel called Olive.